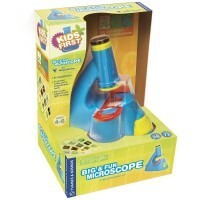 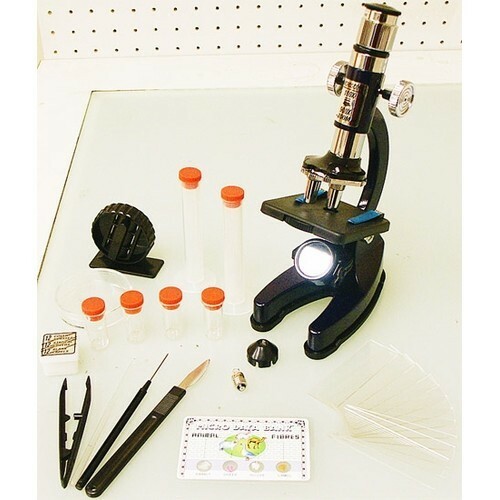 Good quality lenses of this children microscope set in a case, excellent collection of tools in this kids microscope, and your child explorer is well-equipped for the greatest pursuits of tiniest parts of the world around us! 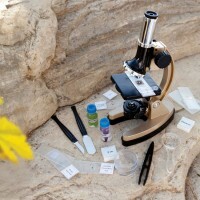 Are you aware, that you are completely surrounded by a tiny little organisms, invisible to the naked eye? 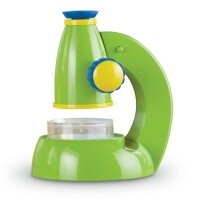 It's time to meet the tiny world eye to eye! 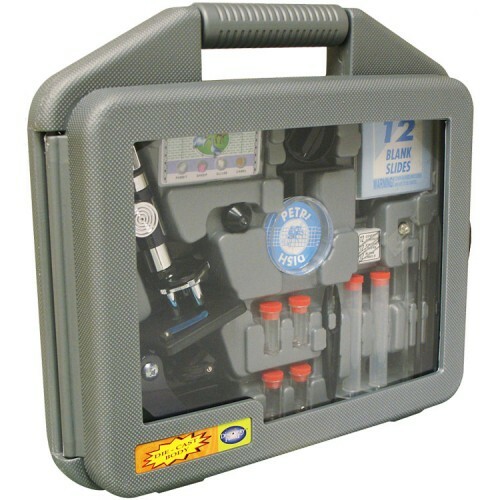 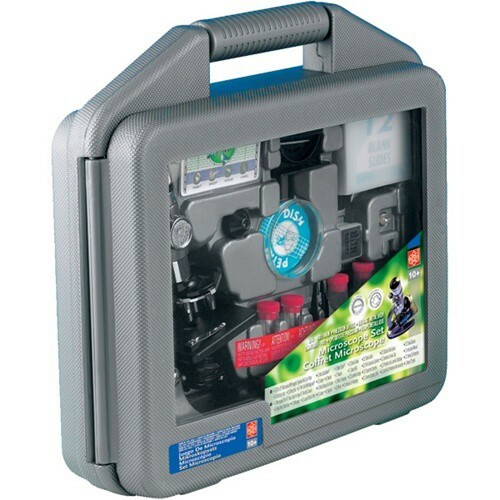 Just bring your eyes close to the Microscope Set in Carrying Case by Elenco and use this convenient and well thought off science kit to explore the objects around you to the tiniest detail. 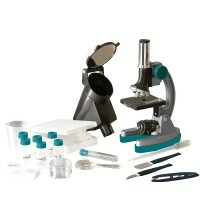 Microscope Set in Carrying Case includes 9 inches microscope with Huygens eyepiece and color filters, micro data bank , micro slicer, 12 blank slides, 12 cover glasses, 12 statical slide covers, 12 blank labels, Petri dish with magnifier, 2 10mL graduated cylinders, 4 collecting vials, easy to grasp tweezers, convenient needle, realistic looking scalpel, stirring rod, condenser lens cap, spare bulb and well illustrated instruction manual with clear and easy to follow instructions for exciting projects. 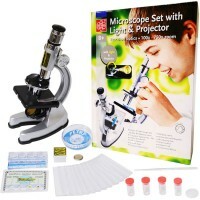 Good quality die-cast microscope has a really high magnification power of 100x - 900x Zoom and is terrific for both home use and classroom explorations. 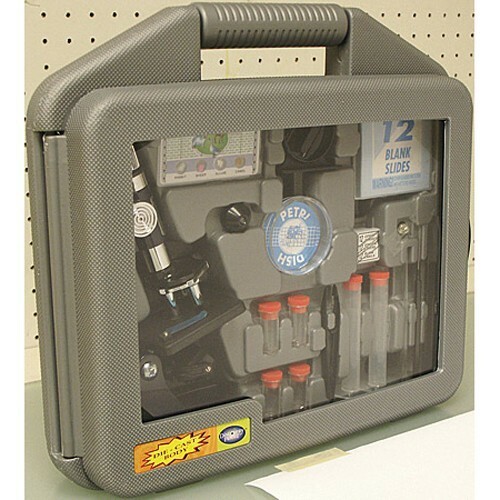 Sturdy hand carrying case of makes it an excellent tool on a field trip (or park trips) and is indispensable for easy to storage. 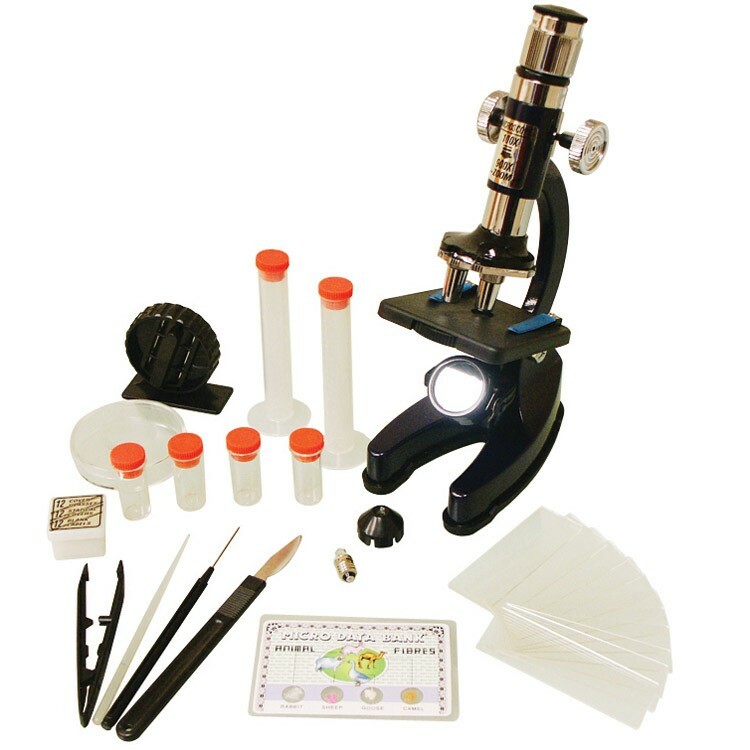 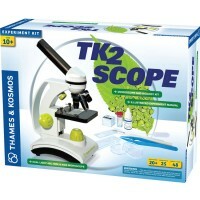 Good quality lenses of the Microscope Set in Carrying Case from Educational Toys Planet, excellent collection of tools in this kids microscope, and your child explorer is well-equipped for the greatest pursuits of tiniest parts of the world around us! 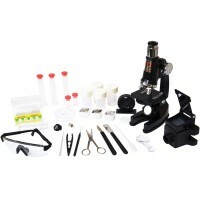 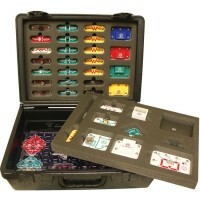 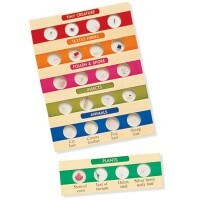 Dimensions of package 19.25" x 10.75" x 14.5"
Write your own review of Microscope Set in Carrying Case.